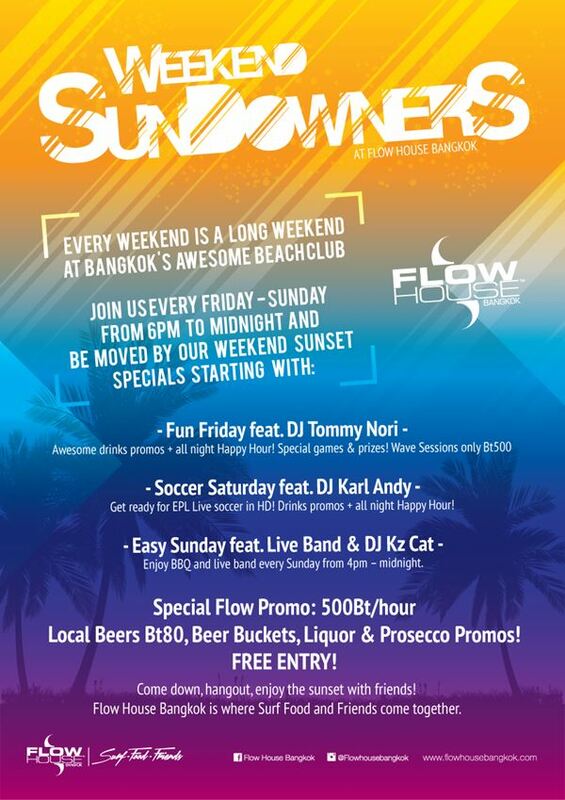 Friday evenings at Flow with DJ Tommy Nori. Get local beers from 80B plus special deals all night. Have a go at Flowboarding with Flows 'FlowRider'. The only way to surf the waves in the city.